Make a stylish appearance by wearing this top from the house of Latin Quarters. 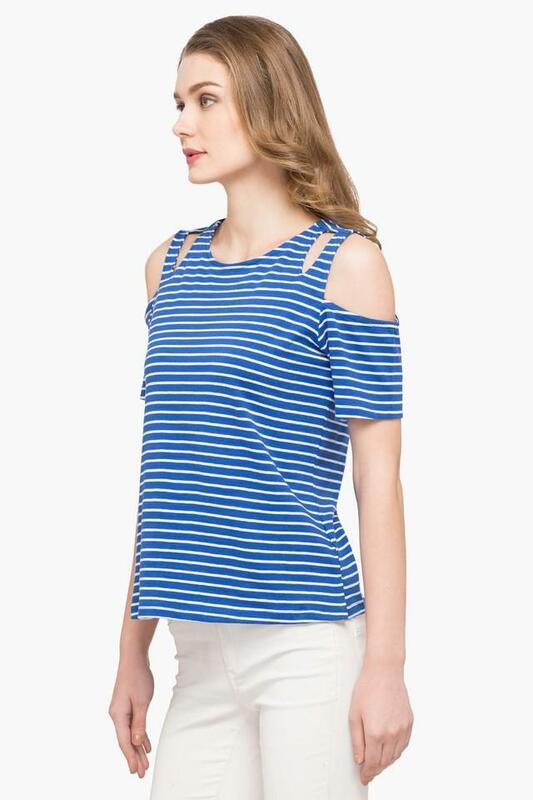 It has been made of a superior quality fabric that offers optimum comfort. 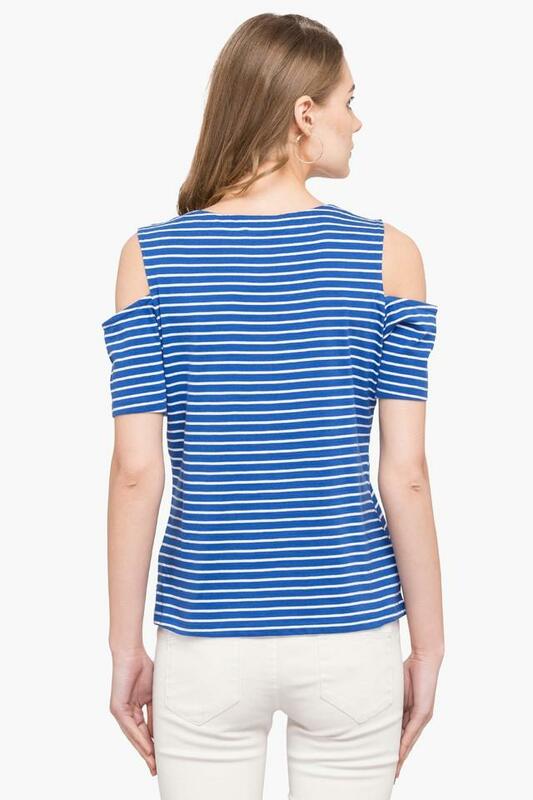 It also features a stripe pattern that gives it a trendy look, while the round neck and the cold shoulder sleeves accentuate the overall design. 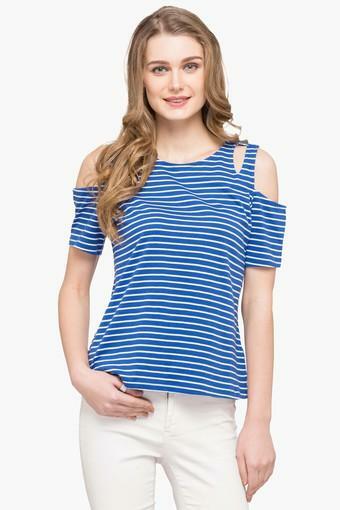 If you are planning to give your casual wear collection an upgrade, then this top will be a suitable pick for you. 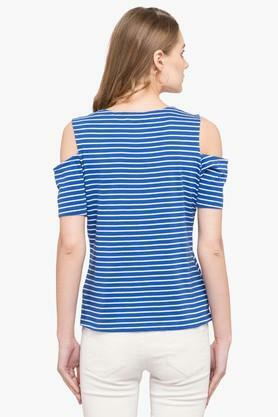 It can be combined with a pair of jeans and heeled sandals for a smart look.